MS Round Pipes, MS Pipes, Mild Steel Pipes, MS Round Pipes Manufacturers & Exporters, MS Round Pipes Suppliers. 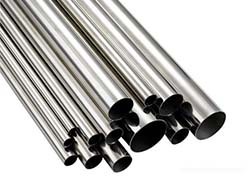 We Royal Steel India, are one of the leading Manufacturer, Exporter & Supplier of MS Round Pipes. Our firm possesses an expertise in trading and supplying a comprehensive range of MS Round Pipes Sourced from the authentic vendors of the market, these pipes are precisely manufactured by utilizing premium quality mild steel. Our offered pipes are highly demanded in the industry for their fine finish, corrosion resistance and high tensile strength. Clients can avail these pipes from the market at economical prices. To maintain industry defined quality standard, these MS Pipes are manufactured by a team of trained workers using sophisticated technology and prime quality raw material. Apart from this, these products are tested properly by our quality controllers against various quality parameters.